The "before" screenshot shows the default Geolocation module prior to adding the Organization database from Maxmind. The "after" screenshot shows that the Organization (GeoIPOrg.dat) database is recognized but not showing location/organization data. I have tried manually uploading the database to /analytics/misc with the same results. I have removed the database from the server and used Piwik's automatic download of the Organization database. That functioned correctly and I confirmed that it was downloaded to the correct directory. The results matched the "after" screenshot. Organization data is not shown in the "visitors > visitor log" or "visitors > locations & provider" views. The site is hosted by GoDaddy and is running PHP 5.4. No warnings showed up during the Piwik installation. Has there been any movement on this issue? Thanks. I have updated to 2.2.0, and the GeoIP Org database is still not fully functional. Do you know when this will be fixed? Thanks. I had a problem with Geoip and 2.2 manual upgrade that was corrected by adding proxy information. Tell us if it helps ! I added that to line 16 right under the "trusted_hosts", but it didn't work. The build still resembles the "after" screenshot and the GeoIP (php) is not available to be checked. More thoughts? Thanks. I just updated to 2.2.1, but GeoIP(php) is still not available and Piwik is not fully displaying Organization information. The scheduled GeoIPOrg.dat auto-update worked correctly. Is this a Piwik-wide bug or just with my build? I'd like to get this resolved as quickly as possible. Thanks. I need an update on this ticket. 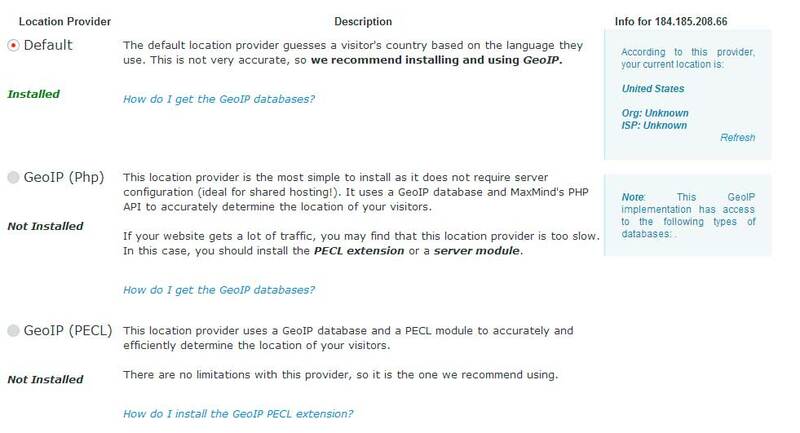 Is the issue with GeoIPOrg.dat a confirmed bug or is there something wrong with my Piwik installation? Do you need admin and FTP access to my site to further explore the issue? Thanks. I am the creator of this ticket. Can I get an update on this ticket? 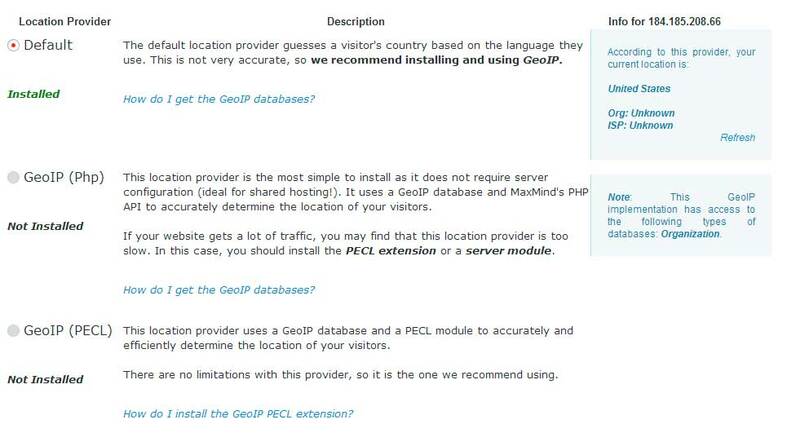 My client is in a position where he paid for GeoIPOrg along with monthly updates 3 months ago and hasn't been able to utilize it in Piwik. Any update on when this issue will be resolved would be great. Thanks. I can confirm this behavior and have also found a workaround: just install GeoIPCity.dat along GeoIPOrg.dat and that's it. Thanks @rindeal for the tip.